Baby, it’s getting cold outside, and your skin is getting a little wan. Most of us reach for the vampy plums and reds to get some color back into the face and capitalize on the moodiness of the season, but celebrity makeup artist Hung Vanngo wants to make a case for bright lipstick — like pinky oranges and corals. 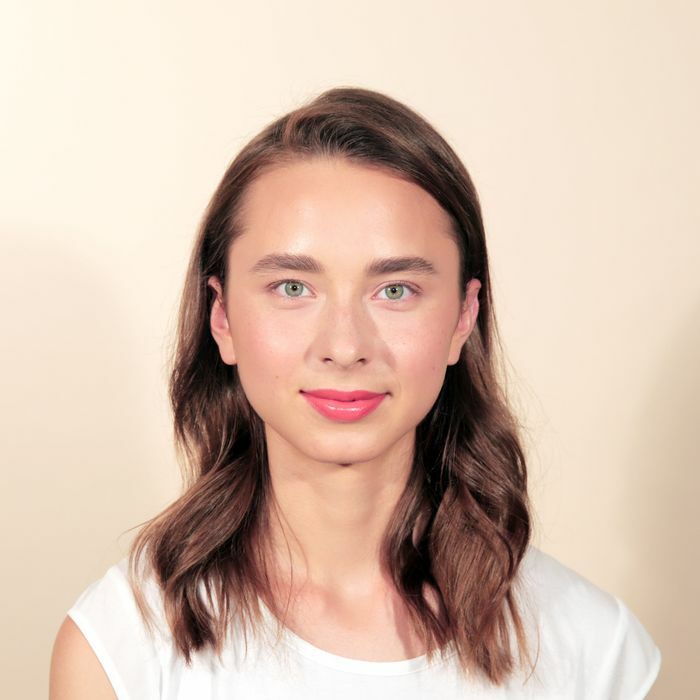 You might think these shades are traditionally better suited for hotter weather, but as you’ll see in the GIFs below, the brightness of the lipstick helps to turn your sad winter face into a happy party face, making you look instantly more vibrant. Step 1: You can start the look by building upon the previous glowing look seen here or starting from scratch. Begin by dusting your face lightly with bronzer (in this case, Tom Ford Bronzing Powder in Gold Dust). Use a fluffier brush, as you want to gently warm up the complexion without creating an overly contoured look. Sweep it along the cheekbones and the jawline. You’ll also want to sweep it along the hairline and jawline once again. Step 2: Vanngo adds a touch of blush on the top of the cheekbone, using the powder side of CK One Cosmetics Cream and Powder duo in Breath. You can also add cream blush as seen here. Step 3: Vanngo brushes CK One Lipcolor in Jinx across the lips. The color really works because its vibrancy and orange tones play up the warmness of the skin, rather than emphasizing the paleness. As Jinx is sold out, try Hourglass Cosmetic’s Opaque Rouge Liquid Lipstick in Tangerine or the Sephora Collection Lip Stain in Mandarin Muse. Step 4: The final fresh look.